Hepburn Designs is a full service Interior Design Company in Dublin, Ireland and Ibiza, Spain. The Home or Business of your Dreams! We will design and place every element from flooring and furniture to the last picture hung on the wall. We will set out all your furniture , both new and existing, style and place accessories including artwork and photos. See your finished design in 3D before you start. 3d drawings and mini movies virtually walk you through your spaces. A full palette of finishes, paint colours and samples for you to see and touch. We ensure your project runs smoothly on budget and on time! We can project manage, source and purchase all elements to ensure a five star finish of your home or business. Detailed budgets that outline all costs involved in the project, including design fees, trades people, furniture, lighting and accessories. If you are selling or renting your house or apartment it is important to show it in its best light. We bring clever solutions to make the most of your property with the least spend of money to maximise it’s selling price. We have used Deirdre’s services for two projects: for the first she project-managed the upgrade of our house, installing a new bathroom, converting two ensuites into a jack-and-jill, and converting the top floor into a playroom; for the second she staged our house for sale. She has a great eye, suggests very interesting ideas, but always with our taste in mind. We were particularly impressed by the difference she could make to a space simply by rearranging the furniture and artwork that we already had. She is very professional, timely and organised and has an impressive team of specialists upon whom she can call for any feature of the project. We would definitely recommend her. We used Deirdre from Hepburn designs to help us renovated an old house into a modern one. We were very happy with her professionalism, ideals and further more she helped us create a beautiful home for our family. We would highly recommend her. We do the nitty gritty, you enjoy the outcome! We start with a consultation. We start with a phone call so I can get an understanding of how I can help you with your project and discuss if we start with a short consultation or with a full day similar to ‘Designer for a Day’. If you opt for the consultation I will come to your home or business and we will spend about two hours discussing your project and the best way to proceed. There is a charge of €200 per hour. In my experience the full day option is much more effective as it kick starts the project. I get an in depth understanding of your project and what you need and we get to know each other. If you are not available to be at the meeting I can work on my own and send you all the information or have a further meeting to present my ideas. Every client and project is unique and every design I create is tailored to you. We will determine your style, what specific items are required and the best spend of your budget. Where appropriate we will incorporate your existing pieces into the design scheme. Your rooms will be measured for accurate specification of furniture, flooring etc, and for 3D drawings and budgets. I will create a sample board with actual materials and fabrics where feasible. A full written specification with photos, dimensions, relevant details and costs will be presented to you. I meet all the trades and suppliers on site. I will organise all the relevant trades and suppliers to meet with me in your home or business. I will go through the details of what is required of each of them and answer all their questions and queries in order to receive a complete and accurate quotation for the works. I will discuss their availability and how long each trade requires to complete the job. I will follow up with all of them in order to present you with a complete budget and scope of works in a timely manner. Detailed written specifications and budgets. Detailed budgets that outline all costs involved in the project, including design fees, trades people, furniture, lighting and accessories; every possible cost of the project is given to you up front in writing before the project begins. A start and finish date and a schedule of payments will form part of your contract. Unlike most design practices, we provide our clients with an unbiased design solution as we are independent of suppliers and trades people. This approach to design provides our clients with a unique, tailored design for their project. Of course we have preferred trades people and suppliers that we have worked with and are happy to recommend, however, we are happy to work with your trades people and source from any supplier you choose. We can project manage, source and purchase all elements to ensure a five star finish of your home or business. We ensure any snags are rectified immediately. We will set out all your furniture , both new and existing, style and place accessories including artwork and photos and leave your home or business professionally cleaned and ready for you. We will supply and fit curtains, upholstery, lamps, rugs, cushions and all the small details. Deirdre was both friendly and the ultimate professional . She approaches the project with great interest and enthusiasm . Would hire Deirdre again and again. 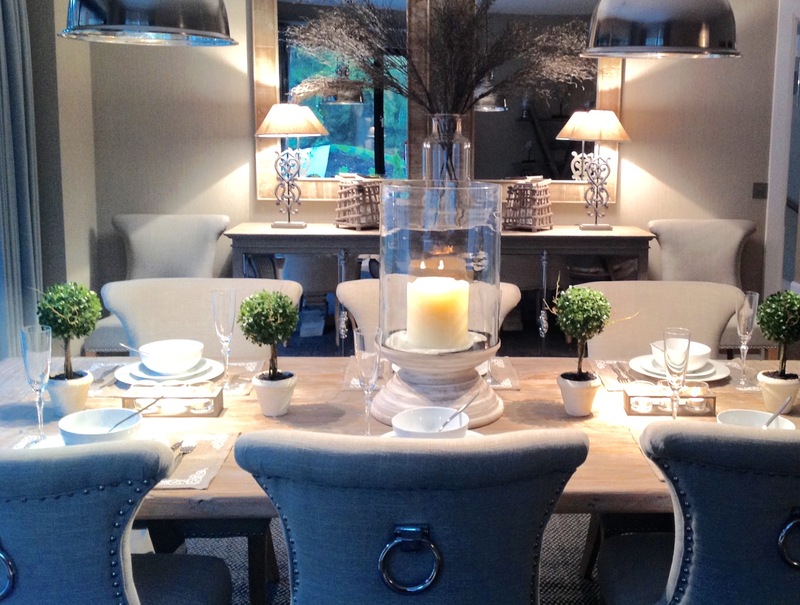 Deirdre is a fully qualified Interior Design Architect with over 20 years of experience. Interior Design Projects are charged on an hourly fee. An estimate of total fees will be given at the beginning of the project. All fees above are inclusive of VAT/IVA. Time spent in the office €150 per hour. Time spent on site/out of office €175 per hour. One off or initial consultations €200 per hour.